The New Bosch Series 8 Ovens - Bake, cook, roast to the perfect results. 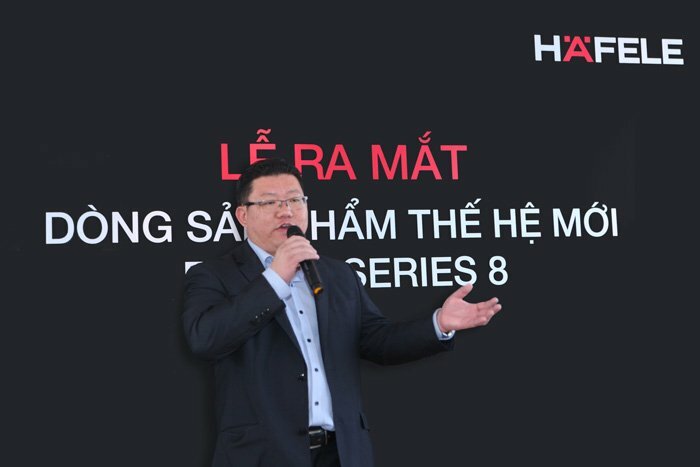 Hanoi, 7 October 2015: Häfele Vietnam - Official Distributor of BSH Home Appliances - officially introduces the new Bosch Series 8 Ovens - Bake, Cook, Roast to the perfect results which was granted the 2015 German Design Award. Featuring 21 new technologies that will make cooking a daily pleasure, this Series 8 range has been carefully designed, produced and tested by expert engineers to meet the highest standard in quality, performance and convenience. The result of years of dedicated research and development by 130 engineers, as well as feedback from over 7,000 customers, the Bosch Series 8 Ovens with microwaving, steaming, roasting and baking all achievable in one oven will definitely suit the cooking needs of everyone. 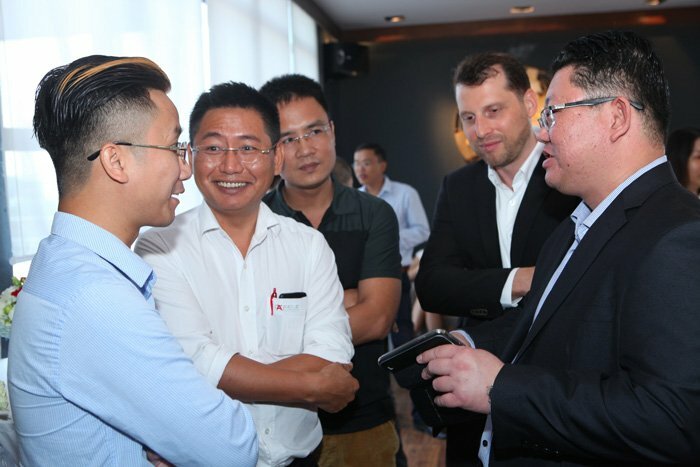 Speaking at the event, Mr. Sascha Kirchner, Häfele Vietnam’s General Manager Sales & Marketing, said: "We are excited to share with you what the Bosch Engineers have been working hard on. This new Bosch Series 8 is aligned perfectly and coordinated for maximum appeal and packed full of innovative features to make cooking comfortable. 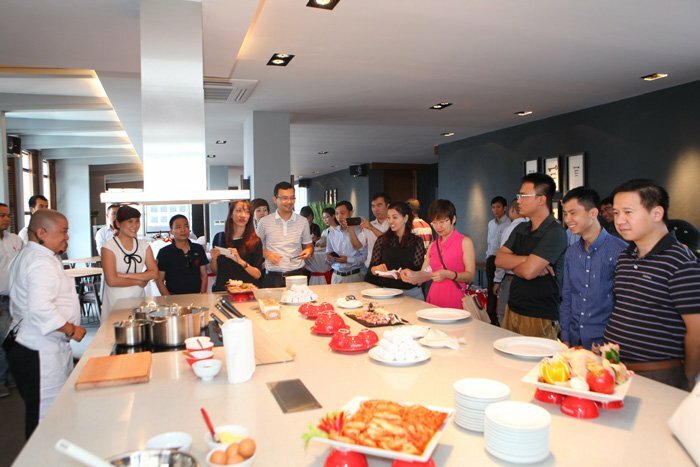 It is as if you have a personal chef in your very own kitchen. 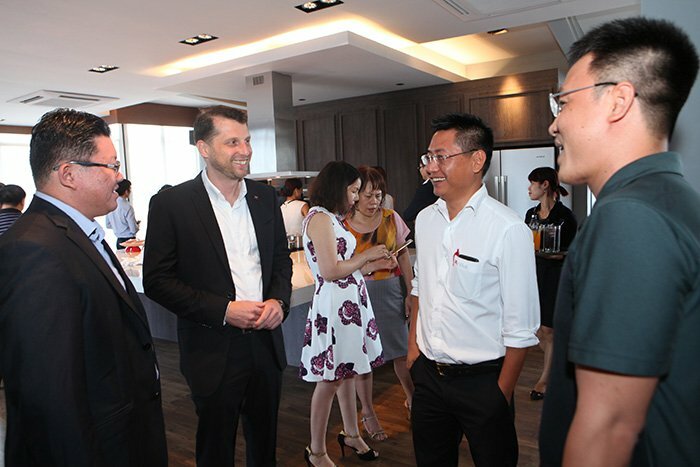 Like our Bosch tagline, "Invented for Life", every dish is now a success with the all-new Bosch Series 8 Ovens". Often, home-cooks and professional chefs rely on their senses to gauge when a dish is done to their preferences. With the Bosch Series 8 Ovens, there is no longer a need to resort to tactile practices to achieve perfect cooking results. Equipped with highly-sophisticated sensors, the ovens will automatically make the necessary adjustments. Bosch’s exclusive and newly-developed 4D hot air technology ensures even heat distribution for well-balanced cooking results. The consistent heating is delivered by a symmetric, alternating fan – driven by the efficient EcoSilence Drive motor. There is no longer a need to guess the appropriate shelf level on which to place a dish. Cooking trays can now be placed on any of the oven’s four baking and roasting levels and the best results will still prevail – even when you bake and roast on all four levels simultaneously. A product of German ingenuity, Bosch has integrated 4D hot air technology with a new steam injection function. Meat dishes roasted with hot air and steam become crispy on the outside and succulent on the inside. Baking in combination with steam is also great for making shiny breadcrusts. 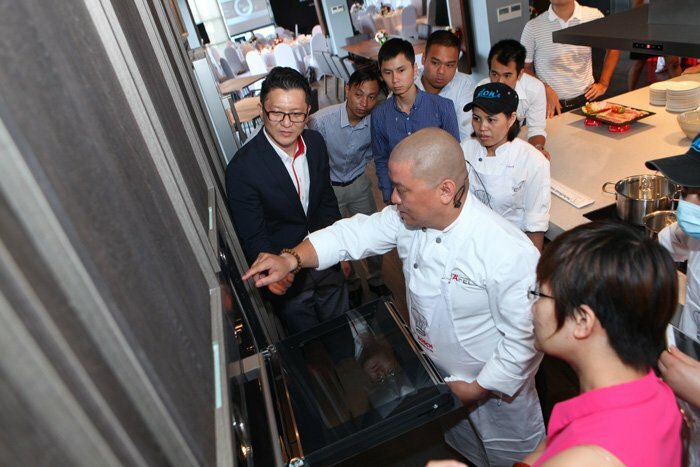 The Bosch Series 8 Ovens can also be used to steam vegetables and fish in the traditional way. The integrated microwave feature can also reduce cooking time of dishes by up to 50 percent, should food not be cooked quick enough. Imagine perfectly-risen sponge cakes, muffins, cupcakes, and breads. With the fuss-free PerfectBake sensor, moisture levels are regulated in the oven cavity for an even bake. Upon selecting the desired bake-type, the oven automatically sets the ideal heating mode, temperature, and duration. Underbaked or burnt cakes will now be a thing of the past. The new PerfectRoast meat probe, a device that measures the core temperature of meats, is ideal for preparing meat, poultry and fish. The device gives you an exact sense of the doneness of a roast at three different points. Its high level of accuracy promises perfect roasting outcomes. True to Bosch's iconic user-interface design, the Series 8 Ovens are precisely-contoured with full metal surfaces, and built with a high-resolution and interactive display. All the ovens are embellished with glass touch buttons, embossed icon buttons and brushed stainless steel integrated control rings.